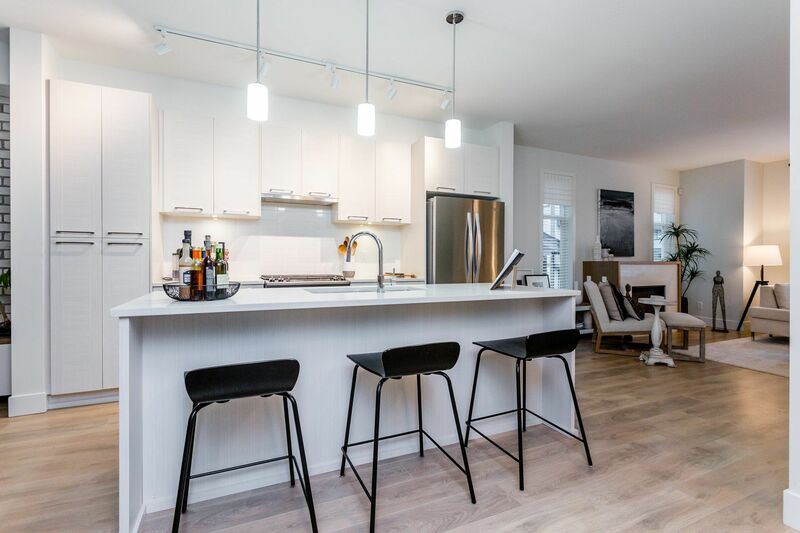 THIS FORMER SHOWHOME at EVERLY GREEN IS IN A CLASS OF ITS OWN! LUXURIOUS & SPACIOUS Detached Strata Home includes 5 bedrooms 5 bathrooms with 2 master bedrooms (one on main) & features expansive living space, gourmet kitchen for entertaining with Whirlpool appliance package including 5 burner gas range & quartz countertops, gas fireplace, double side by side garage, walk-out basement to fully fenced backyard, quick connect BBQ hookup off dining rm for summer entertaining. TONS OF UPGRADES incl millwork & shelving, designer lighting, paint & wallpaper, wine rack & window valances! Ample visitor parking plus street parking. Walking distance to schools, parks & shopping. Convenient access to Hwy 1. NOW SOLD FIRM. THANK YOU FOR YOUR INTEREST!